The fluctuations in the power grid are caused by an imbalance between production and consumption. The quality of our electricity supply is also being determined by permanently maintaining the energy balancethrough the use of so-called regulationpower plants. Should this procedure fail, does it come todisruptions or even failures. A particular challenge in balancing the grid is the growing stream of electricity deriving from renewable energy. Electricity storage systems can contribute significantly by absorbingelectricitywhenever production is higher than consumption, and release power again in line of demand. 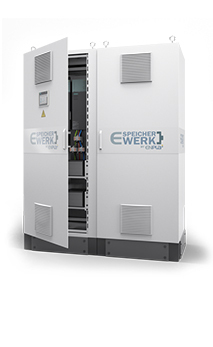 The market for primary and secondary control power can be ideally supplied with an E-SpeicherWerk power storage system. 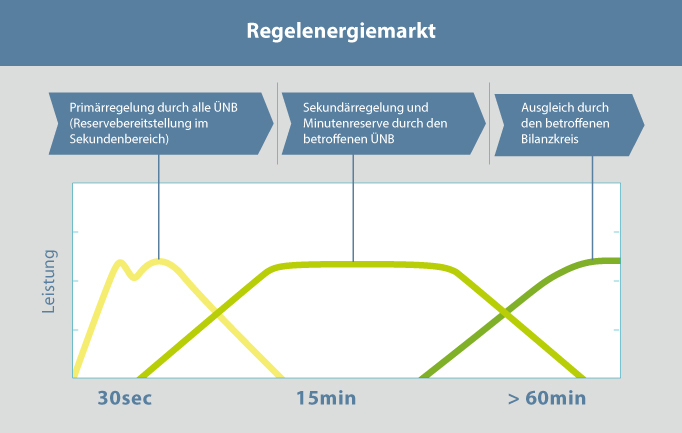 The high response time, which is also controlled throughthe transmission code,is thereby ensured by a high-performance system such as this. But of particular interest with respect to other technologies, is a lithium-ion storage notably for its excellent efficiencyfactor of more than 90 percent. 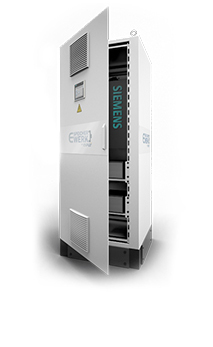 System services such as the stabilization of voltage and frequency in the distribution network can be provided very efficiently and quickly by the lithium-ion technology.